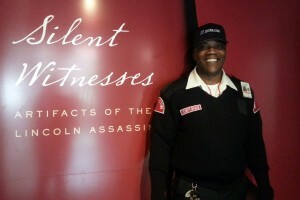 The recent production of The Guard at Ford’s Theatre isn’t the first time guards have been featured on the stage at Tenth Street NW. 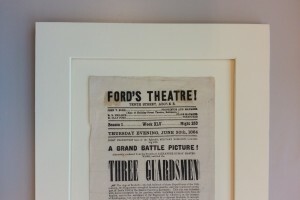 In July 1864—nine months before Lincoln’s assassination halted productions at Ford’s for 100 years—John T. Ford brought a production called Three Guardsmen to his Washington Theatre. At the our recent Teacher Preview Workshop, we discussed how teachers employ historical fiction texts in their classroom. Is historical fiction dangerous? 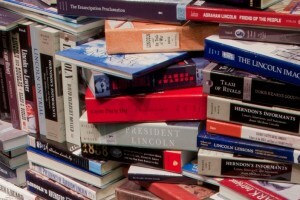 Or, does historical fiction bring students closer to history? What is to be gained by dramatizing the past? Ford’s Theatre is participating in the Washington region’s 2015 Women’s Voices Theater Festival. The festival, with its focus on gender parity in theatre, aligns well with many discussions happening across the country regarding the lack of women’s voices in roles of power and influence in a variety of industries. 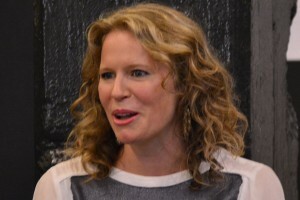 Tim Getman, Mitchell Hébert, Josh Sticklin, Kathryn Tkel and Craig Wallace star in the world-premiere Ford’s Theatre production of Jessica Dickey’s The Guard. Watch our new theatrical trailer and get a glimpse of why critics and audiences have praised the production as a griping, reflective and extraordinary theatrical experience. Please Don’t Touch the Art … but Please Ask Why! In The Guard, the three main characters make the decision to touch a famous piece of art hanging in a museum. The play is a beautiful exploration of our connection with art and its meaning and power, but it will make museum professionals everywhere cringe. What’s really so bad about touching the art? 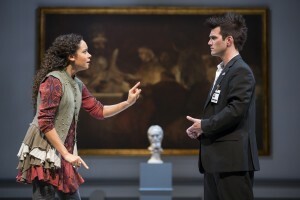 In this blog post, we speak with Jessica Dickey, the playwright behind The Guard. 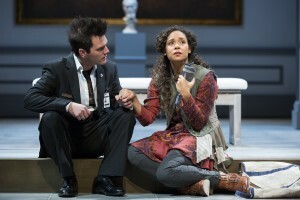 Playwright Jessica Dickey and her world-premiere play, The Guard, are recipients of the National Theatre Conference’s 2015 Barrie and Bernice Stavis Award—an annual award celebrating outstanding emerging playwrights. Have you ever wondered what would happen if you took a single step closer, reached forward and touched a museum painting? Playwright Jessica Dickey imagines exactly that in her world-premiere play, The Guard, opening at Ford’s Theatre in Fall 2015. 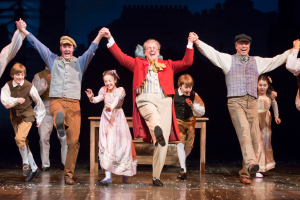 The Ford’s Theatre theatrical season for 2015-2016 is announced! Productions include: the world-premiere play The Guard by Jessica Dickey—part of Washington’s Women’s Voices Theater Festival; The Glass Menagerie; the musical 110 In the Shade; and holiday favorite A Christmas Carol.